Orijen's New All Meat Treats: Now On Sale At Chewy.Com! 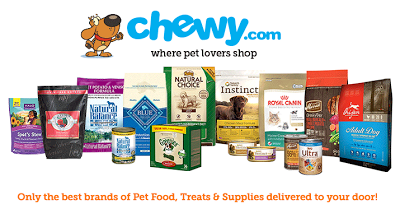 We're thrilled to have the opportunity to review the latest dog treats available for purchase at our favorite online pet retailer, Chewy.com. 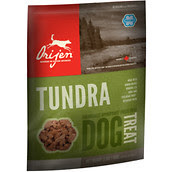 We were mailed a small pouch of Orijen's Biologically Appropriate Freeze-Dried Treats, courtesy of our friends at Chewy.com - we chose the "Tundra" version from among eight different flavors. Please note that the opinions that follow are most definitely our own. Here's the full "Tundra" treats ingredient list: Boneless venison, elk liver, boneless elk, venison liver, boneless quail, steelhead trout. In this case, when we use the word "flavor", we don't mean what many other human food and pet food labels mean when they use that term, as in "beef flavored" treats. If your scrutinize labels like we do, you'll usually find that there's no real beef (or any other meat for that matter) in the ingredient list-it's typically just an artificial meat flavor. Orijen only uses locally sourced (their company, Champion Pet Foods is located in Canada) fresh, never frozen meats and fish. 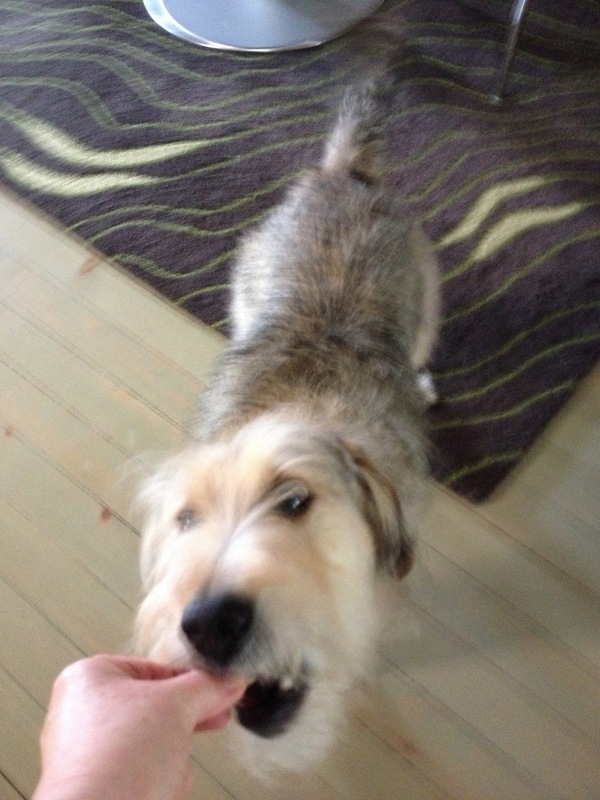 These treats are what Orijen calls: Whole Prey-what our carnivore dogs "evolved to thrive on...such as game, fish or fowl." These treats are bite size-perfect for a quick snack during a walk or for training. 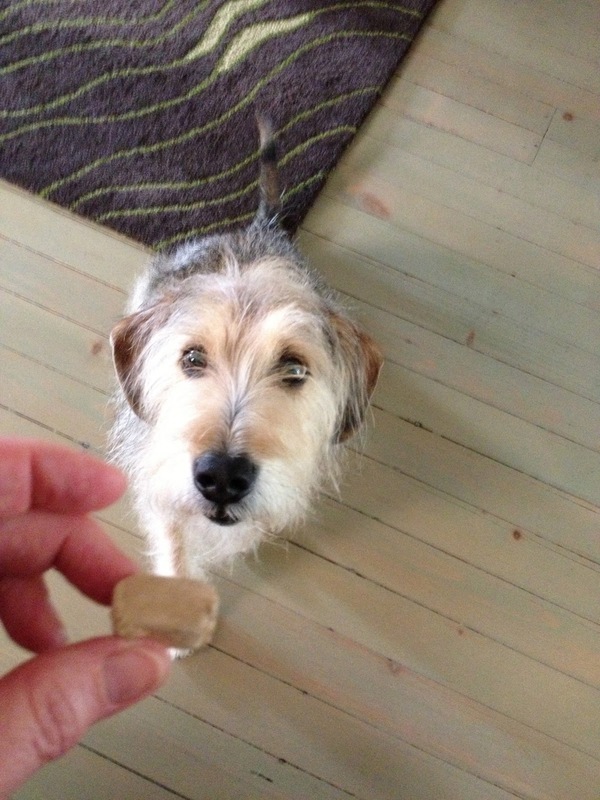 Parental Unit and I give these treats from Orijen's a enthusiastic two thumbs and four paws up! 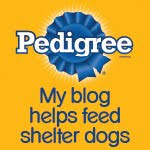 Check them out now at chewy.com while they're on sale! Eva loves Orijen and that looks like a very yummy snack for afternoon tea time. 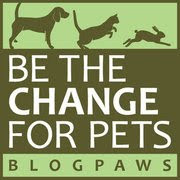 Hope we can find the new treats here.